And just for fun, here’s a silly song I sang with my Kindergarten classes long ago in my student teaching days. Sung to the tune of “Clementine,” I slow it down and sometimes sing it in minor, holding at key moments with a tremolo on my guitar. Be creative, and make it work for you! Now, I don’t do this song anymore because it perpetuates the misconception that the monster’s name is Frankenstein. The monster has no name; Frankenstein is the doctor. But if you can get over that, this song is for you. …Please just explain the difference to your kids. Do you recognize Halloween at your school? 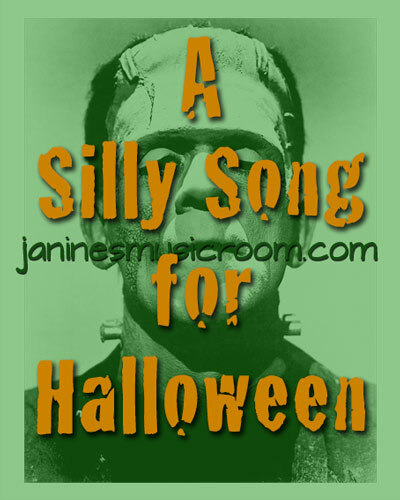 What are your favorite Halloween songs to sing with your classes?